All Little Forest Folk all our food is healthy and nutritious. We give our children a balanced diet with at least five portions of fruit and vegetables each day, with meals made up of locally and seasonally sourced food whenever possible. Homemade cakes are available as treats and on cold days a delicious warming hot chocolate is served around the campfire. Menus are designed and cooked by our chef Becky Beasley. We want to teach children more about healthy lifestyles and encourage the adoption of healthy eating. Understanding the importance of nutrition is easier if children have been active participants in food preparation from a young age and if allowed to take opportunities to ask questions about what constitutes a healthy balanced diet. 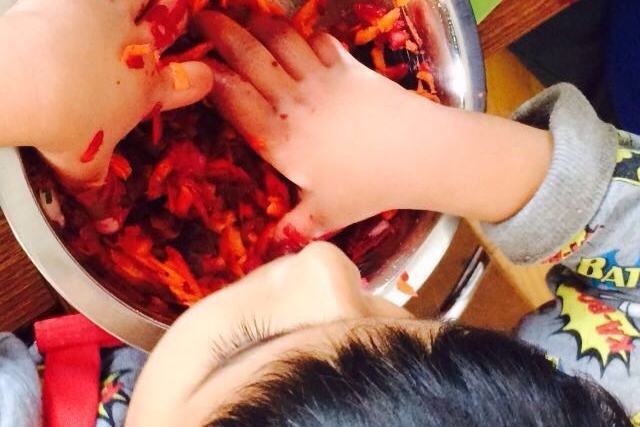 That's why we began our weekly cooking lessons at each of our nurseries! Children's morning snack, lunch and afternoon snack are always served in our forest site. Children will of course wash hands carefully before eating as they learn the importance of hygiene. 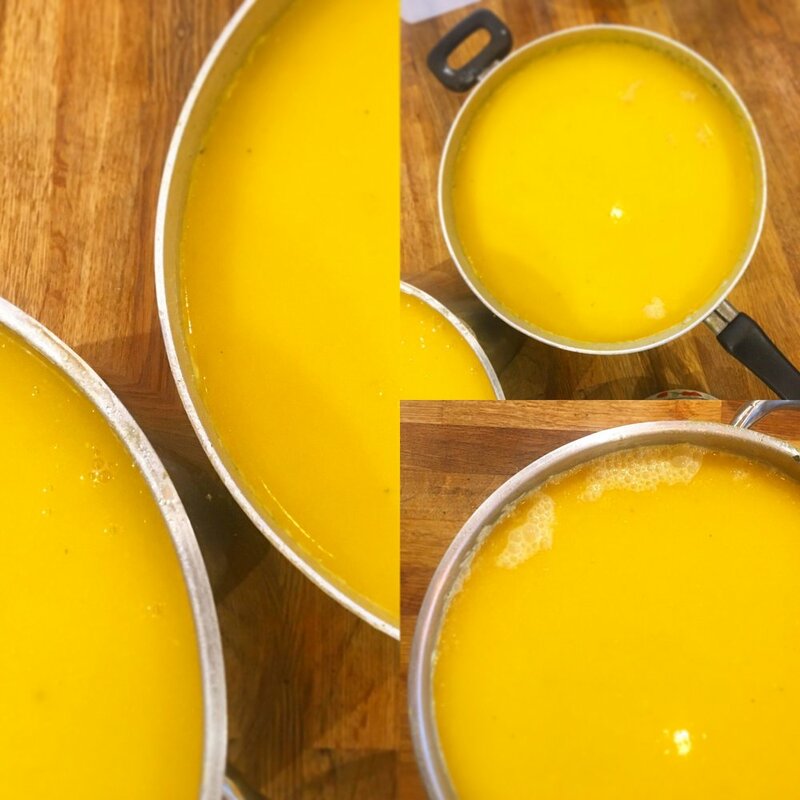 Lunches in colder weather are usually soups which are fantastically warming and offer an easy way to get lots of vegetables into the children without them realising they are eating something very healthy! Bread is provided with the soup and when possible this will be cooked over a campfire by your child! All fires will be lit, managed and supervised by our Forest School qualified staff. If you have any concerns with your child’s eating habits, please let us know, although you’d be surprised how well a child who is fussy at home will eat with us! Water is available at all times throughout the day. In colder weather we will also have warm drinks available, including homemade spiced teas and the occasional hot chocolate! In summer, we will also have healthy and homemade ice lollies. 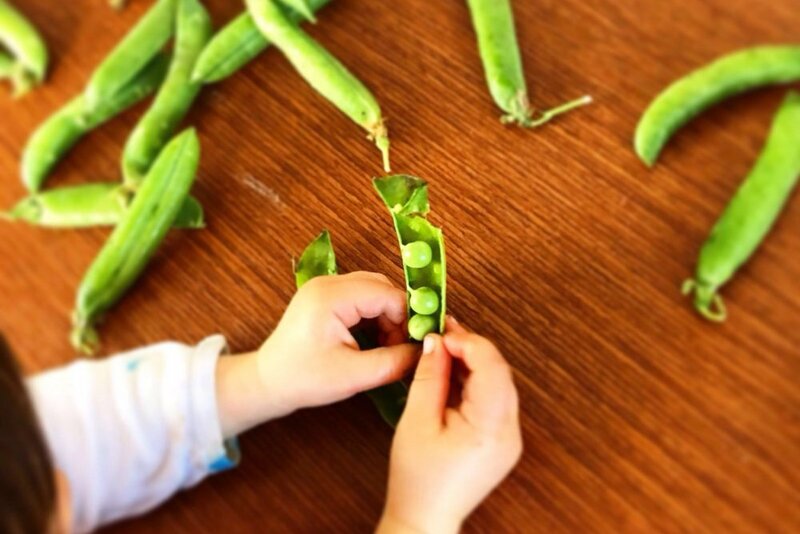 Cooking lessons: For the Spring term children will cook their own dinners; on Mondays at our Wimbledon and Wandsworth nursery, on Tuesdays at our Fulham nursery, on Thursdays at our Chiswick nursery and on Fridays at our Barnes nursery.